Nokia comes up with an extensive range of smartphones in Australian markets without any doubt. 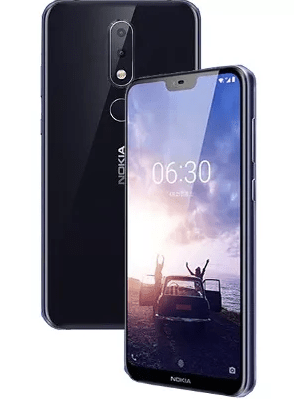 Just now Nokia has released it’s another flagship device namely Nokia X6 2018 in Australia with much-improved features especially its entire design with the top-notch display just like Huawei P20 Pro and Oppo F7. The Nokia X6 is a clean and sleek-looking smartphone, despite the fact that it’s a pocket-friendly device with entry-level specs which are fully baked. The phone sports a 5.8-inches 19:9 aspect ratio display, MediaTek Helio P60 chipset, 4/6GB of RAM and massive 64/128GB of onboard memory. To get to know a little more, here is everything we know so far. So, without any further ado, have a look at Nokia X6 2018 review including its release date, price, and specifications. 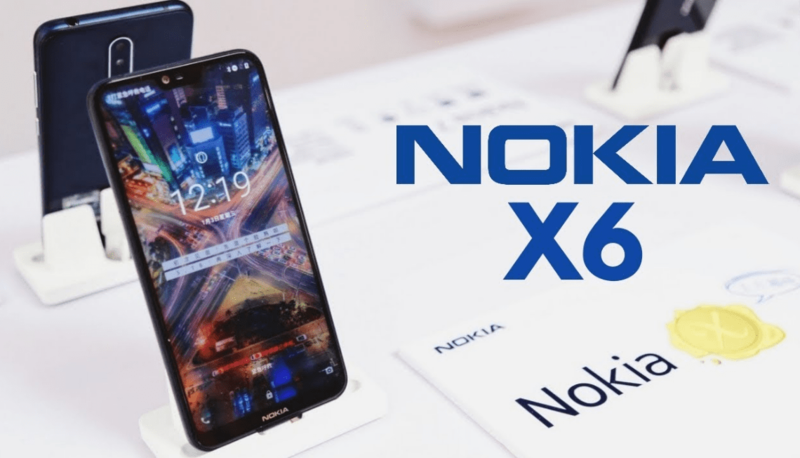 There was a delay in Nokia 6X release date as it was previously known as Nokia X, but later the company decided to launch it with a new name “Nokia X6”. Based on a report from Digi TechQQ, Nokia X6 Price will be around $252 for 32GB/4GB variant whereas 64GB/6GB variant will set you back around $283. We have compiled all Nokia X6 2018 specifications and its features. So, have a look! Camera Features: Phase Detection, Autofocus, Dual-LED, Geo-Tagging, Touch Focus, Panorama, and HDR. The Nokia X6 2018 is no longer on a wait. The phone looks pretty awesome with a notch (just like LG G7 ThinQ and OnePlus 6) on its front and a small bezel and a “Chin” on the bottom along with a Nokia logo branded across the right corner. You will also see a fingerprint sensor on the back with a dual rear camera which is vertically placed. In addition, Nokia X6 2018 sports a USB Type-C port and a 3.5mm standard headphone jack. The Nokia X6 2018 comes with a 5.8-inches gorgeous IPS LCD 19:9 aspect ratio display well-supported by 1080 x 2280 pixels resolution at a density of 435 PPI. The display entertains you with sharp and apparent views. The overall performance of the display is quite outstanding and takes your enjoyment to the next level when playing games and watching HD movies. When it comes to Nokia smartphones, you can be pretty sure about its camera performance. On paper, Nokia X6 boasts a 16MP rear camera with LED flash and secondary a 5MP sensor. There is a 16MP front-facing camera that lets you capture moments with your near and dear. As you’d expect, captured images are quite dazzling. The colours are amazing with a lot of details and the focus is pretty well. The camera is loaded with several features like Phase Detection, Autofocus, Dual-LED, Geo-Tagging, Touch Focus, Panorama, and HDR. The Nokia X6 2018 is powered by Qualcomm SDM636 Snapdragon 636 with Adreno 509 taking care of graphics department. The performance is butter smooth and it handles multi-tasking as well as gaming without any hassle. There is 4/6GB of RAM onboard which explains why Nokia X6 is great at multi-tasking fluidly. The Nokia X6 comes with two variants of onboard memory – one of them is 64GB paired with 6GB, whereas the other variant is equipped with 32GB paired with 4GB of RAM. If you’re looking to expand its onboard memory further, you are in luck. There is an option of microSD card that allows you to expand it up to 256GB. The phone is backed by a huge 3060mAh non-removable battery that can keep you online all day long on both casual and a bit heavy usage in a single charge. It shows that Nokia X6 is miles ahead of Nokia 1 (2150mAh) and backward from Oppo R15 (3450mAh) & Asus ZenFone 5 (3300mAh). Are you really excited about Nokia X6 2018 smartphone? Share with us your thoughts in the comments section below. And don’t forget to share if you liked it. OnePlus 6 vs. Huawei P20 Pro: Which One is Most Powerful?